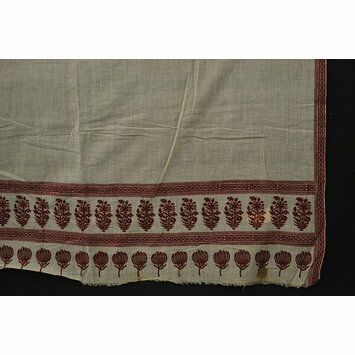 Block printed muslin shoulder or waist cloth, white ground block printed in red with two horizontal bands of two diferent styles of buta (flowering sprigs) in ends, divided by narrow red patterned bands. 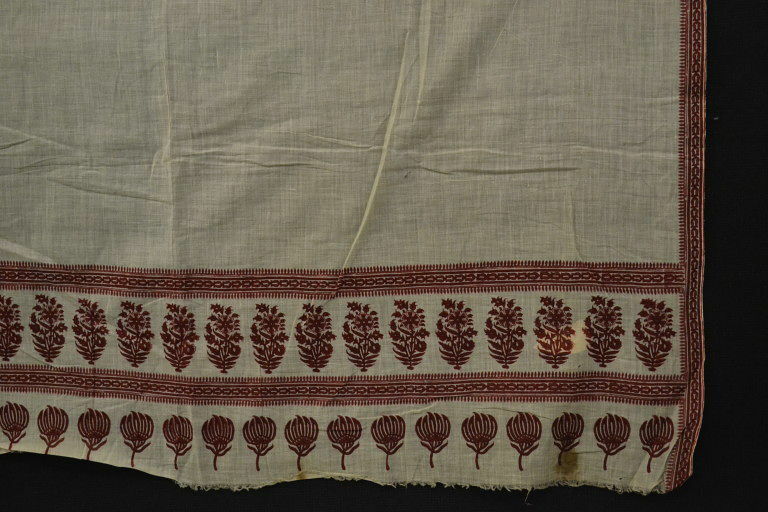 Same patterned band design used in side borders. Intended for use as a garment, as clothing.